James P. “Jimmy” Rilling, age 65, of Port Washington, WI peacefully passed away Friday, August 3, 2018 at Aurora Health Center in Grafton after a battle against cancer. He was born on May 26, 1953 in Port Washington; son of Donald J. “Perch” and Marilyn Gessner Rilling. Jimmy grew up on Montgomery Street, attended St. Mary’s parochial school and graduated from Port Washington High School; class of 1971. Throughout the years, Jimmy lived in various parts of Ozaukee County. He had worked for EST Company, Molded Dimensions and lastly KleenTest Products where he retired from a few years ago. This “old hippie” always loved cars, bike riding, scooter rides and music. “Life is too short to waste on bad music”, he would say. A fishing pole, a wrench, some playing cards, his Kindle or the remote control were just some of the things that kept him busy. More recently he had taken on an active interest in biking, baking and adventures in grilling. He was faithful to family and friends. His monthly poker games with his longtime friends were always enjoyable. 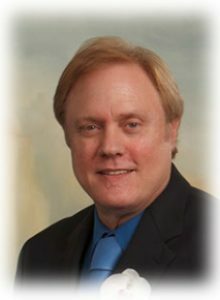 He is survived by his wife Gloria; children Lucas and Tyler Rilling; his step-children Daniel and Sandra Saldana; his sisters Karen (the late Doug) Conradt, Diane (Don “Diego” Schultz) Rilling and Suzanne Rilling, his canine companions Penny and Randi, nieces, nephews, other relatives and many friends. Jimmy is preceded in death by his parents and his brother Thomas “TJ” Rilling. Memorial services 6PM Wednesday, August 8, 2018 at the POOLE FUNERAL HOME/Crematory, 203 N. Wisconsin Street, Port Washington, WI. Family will receive friends from 4-6PM Wednesday prior to services at the funeral home. As per his wishes, Jimmy’s body has been donated for the advancement of science. Previous Post: Krainz, Wilfred E.
Next Post: Bley, Joan M.
So sorry to hear of Jims passing. Prayers to the family. Rest in peace my friend. Hi I’m good friends of the family my condolences to you and your family sorry for the lose!! !